Tebma designed and delivered its first Pilot Launch in the year 1988. Since then Tebma Shipyards has manufactured Pilot Launches in different sizes and varied designs. Length- 16.5 mtr. Width- 4.14 mtr. Depth-1.80mtr. Laaded Draft- 1.05mtr. : Rudder - 2 no. 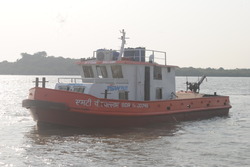 UITC has been supplying professional vessels like pilot boats, tugs, barges, … newly built to the clients specifications and applications we have the expertise to insure highest workmanship and prompt delivery UITC’ track record includes pilot boats (17m), ASTD tugs and surface drive patrol boats. A pilot boat is used to transport pilots between land and the inbound or outbound ships that they are piloting. 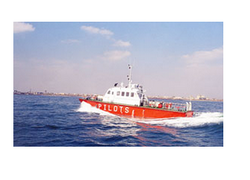 Pilot boats can be from 20 feet to over 75 feet in length.